Almost eight months after New York Attorney General Eric Schneiderman sent cease-and-desist letters to several retailers including Amazon, Walmart, Sears and Kmart, those companies have agreed not to sell realistic-looking guns in the state. The retailers have agreed to stick to New York City laws governing the sale of toy guns — they can’t be blue, black, silver or aluminum and must be brightly colored or translucent — as part of settlements with Schneiderman’s office to be announced on Monday. Federal law requires toy guns to have an orange stripe near the tip as well. 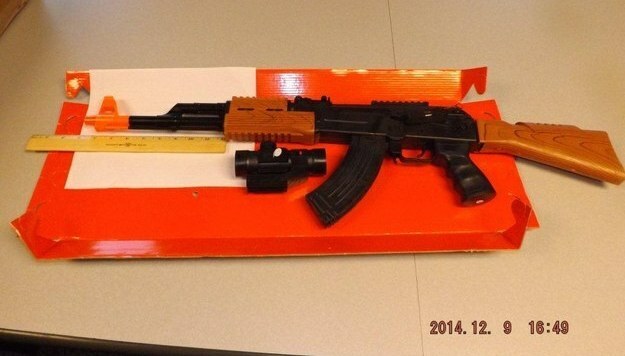 The A.G.’s office found that more than 6,400 toy guns violated New York laws from 2012 to 2014. It’s also an issue elsewhere in the country: in November, 12-year-old Tamir Rice was playing with a toy gun when he was shot and killed by a police officer in Cleveland. Florida, Indiana, Massachusetts, Ohio, Nebraska and New York all introduced legislation to create or amend toy gun laws, while about a half dozen others already have laws on the books, according to the National Conference of State Legislatures. Walmart will be on the hook for the bulk of the civil penalties, because it was found to have violated terms of a 2003 agreement to keep the toy guns in question out of the state. None of its physical stores sold illegal toy guns, but Schneiderman’s office said consumers bought 149 of them through Walmart.com. Sears Holdings said through a spokesman that the company is “pleased” to resolve the AG’s concerns, while Amazon did not comment.